There are many good reasons to incorporate, and it's easy enough to get caught up in the advice of attorneys and advisors who tell you that you MUST incorporate when you launch a new business. In fact, it might be a good move, but it might also be something you can wait and do later. Understanding the reasons for incorporating can help you make the decision. 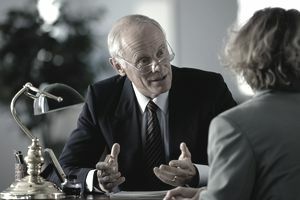 Some lenders prefer that you have a specific legal business structure before they'll advance you money. You're not a sole proprietor, in which case you are your business and your business is you. When you incorporate your business, it's responsible for paying back the loan and the lending institution won't have to look to you personally. You're also not personally liable for the debt. Your liability will vary depending on the type of products or services you provide and the number and type of employees you have. If you're working from home writing software or a blog, your liability is probably limited. But if you're selling products that might potentially harm people or if you have employees, you might want more protection. You can purchase liability insurance, but incorporating provides a shield between your personal assets and those of your business in the event of a lawsuit. Your liability concerns may change as your business grows and you add employees. This one is tricky. Corporations are separate tax entities and the taxes a corporation pays may or may not be greater than the taxes you'd pay at your own personal rate—which is what happens when you're a sole proprietor. If you form an S corporation, profits trickle down to you and you're personally responsible for reporting and paying taxes on that income. A C corporation is effectively taxed twice—once at the corporate level, then shareholders must also pay taxes on profits and dividends they receive. Spend some time with your tax advisor to make sure you understand the tax implications of incorporation with an eye toward the type of corporation you want to form. You may not make much money right away when you start your new business, so you might decide it's not worth it to incorporate. But as your business grows, you may find that you want to separate your business income from your personal income and take a salary. Forming a corporation allows you to do this. You can leave profits in the business and pay yourself a salary in an amount that's only what you want or need. Timing is important, so if you anticipate making more money in the coming year and you'd rather that the bulk of it remain in your business's coffers rather than in your own pocket, speak to an accountant or a financial advisor as soon as possible. The bottom line: Don't incorporate just because someone tells you it's a good idea. Attorneys make money helping you incorporate, but they make no money if you remain a sole proprietor. Selecting your business structure does not have to be a do-it-right-now decision. You can revisit the issue as your business grows and the reasons you might want to incorporate change.